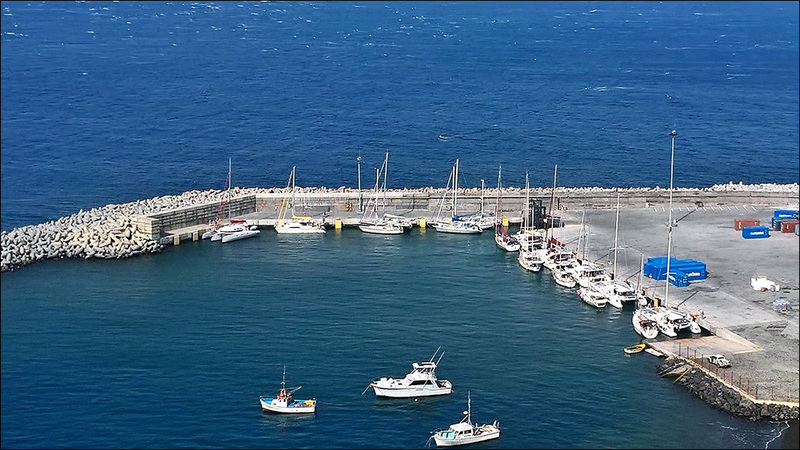 Thanks to the efforts of Lutz Meyer-Scheel and Jackie, the marina manager, the Barbados 50 fleet was given the whole port for 38 hours as no ferries run on Sundays. The crew skills were tested as it is never easy to tie up to a big commercial wharf and raft vessels together when swell is present. 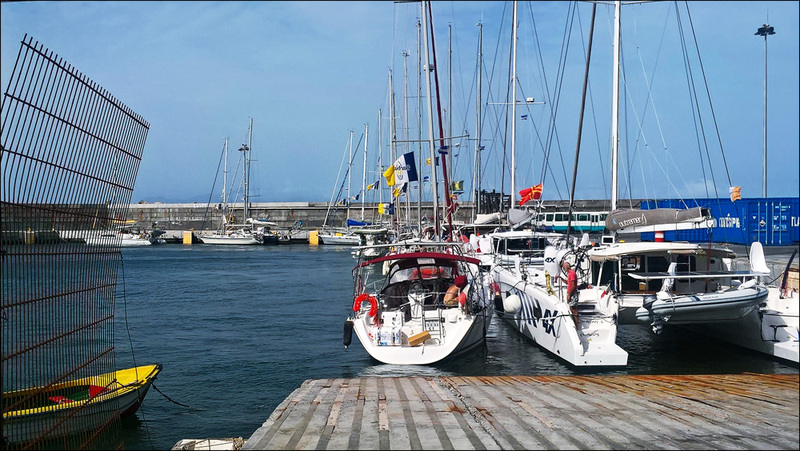 On Saturday night, the whole fleet had a convivial buffet dinner at the Xaguate Hotel and on Sunday went on an island tour to Volcano Pico. 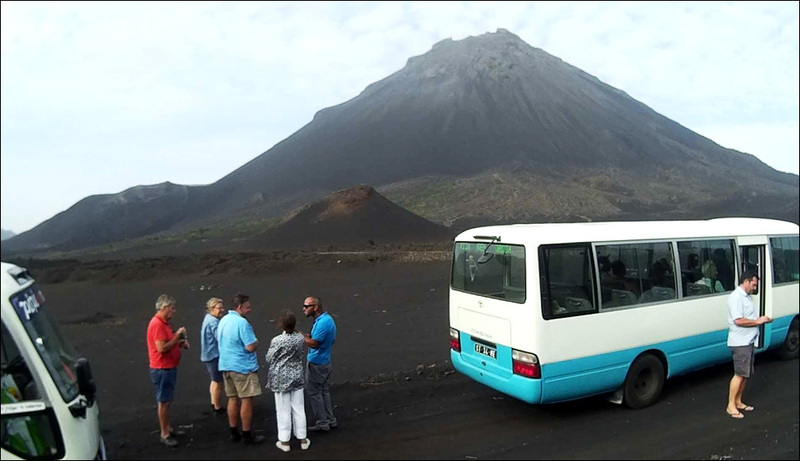 Three comfortable buses with French & English speaking guides took us to Cha das Calderas, where the last eruption in 2014 destroyed 60% of the crops and homes of the villagers there. 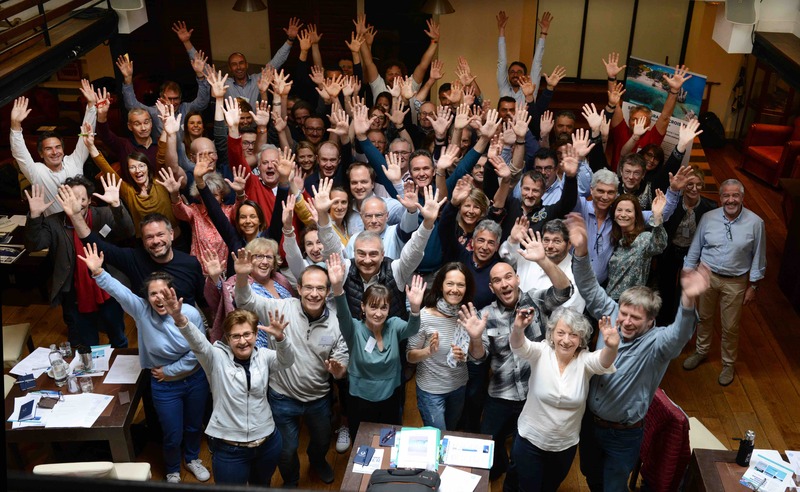 We were amazed at the work they have done in rebuilding the cooperative winery and gardens. 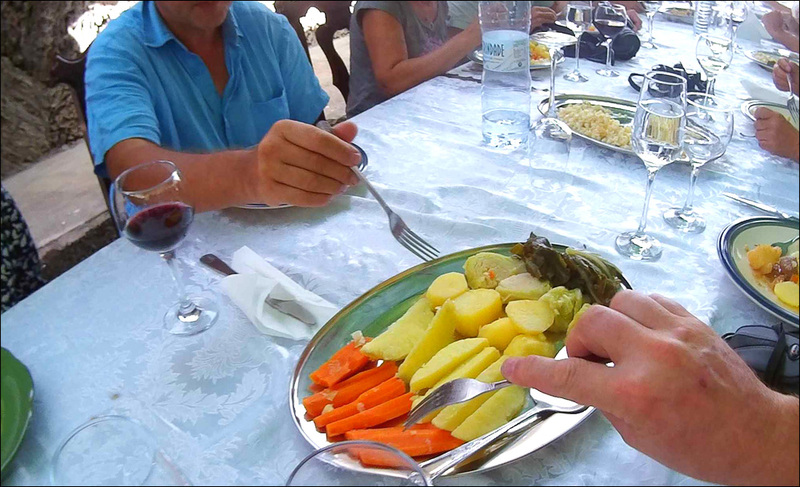 The fleet enjoyed the local wine as well as the local food produced in a 5 mile radius, all served on nice tablecloths! Despite having visited many volcanoes in the Canaries, many of us found it the most interesting experience. On the way back to the port, we visited the relocation village where people are now living. 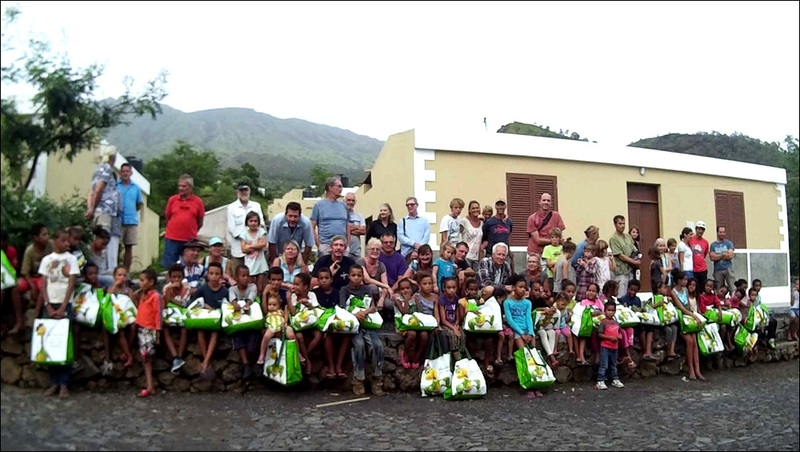 We were happy to meet lots of the village kids and donate to them the bags of gifts we brought from the Canaries as well as many toys that boats with kids onboard had donated. Fogo is a challenge for cruisers to visit because of the difficult anchorage but the rewards were great for all 16 boats who visited! 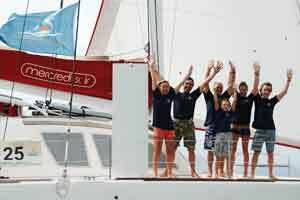 Barbados 50: Cruising the Cape Verdes, Luc Callebaut reports from Santo Antão and Brava.